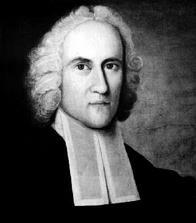 Jonathan Edwards on True and False ConversionConscience in man says: "Thou shalt," and "Thou shalt not," "I ought," and "I ought not." These mandates are not self-imposed. They imply the existence of a Moral Governor to whom we are responsible. Conscience,--there it is in the breast of man, an ideal Moses thundering from an invisible Sinai the Law of a holy Judge. Said Cardinal Newman: "Were it not for the voice speaking so clearly in my conscience and my heart, I should be an atheist, or a pantheist, when I looked into the world." Some things are wrong, others right: love is right, hatred is wrong. Nor is a thing right because it pleases, or wrong because it displeases. Where did we get this standard of right and wrong? Morality is obligatory, not optional. Who made is obligatory? Who has a right to command my life? We must believe that there is a God, or believe that the very root of our nature is a lie. Taken from previously unpublished manuscripts of Jonathan Edwards. Rev. Thomas Adam wrote: "It is a great point of religion to know the heart. I see but a very small part of its deceit, hypocrisy, and desperate wickedness." Knowledge of the heart of man is critical to all who are involved in ministry in any way and also to the individual professor of the gospel who is willing to do what Paul commanded, "Examine yourselves, whether ye be in the faith"
(2 Corinthians 13:5). Knowing the Heart: Jonathan Edwards on True and False Conversion is a book of sermons and treatises by Jonathan Edwards dealing with the depravity of the heart, the hardening of the heart, and the nature of true and false conversion. There is commentary on each one of the manuscripts by William C. Nichols explaining what we can learn about the heart and conversion from each sermon and also how to apply it in evangelism and preaching the gospel message. Only one sermon in this book has ever been published before and that was in 2002. Jere 17:9 "The Heart is Deceitful above all things....."
"Then hear thou in heaven thy dwelling place and forgive and do and give to every man according to his ways, whose heart thou knowest; (for thou, even thou only, knowest the hearts of all the children of men;)"
There are two points that have my attention as I look at this prayer of King Solomon. First is the fact that only the Lord truly knows the hearts of men. So often we see people acting this way or that, and we make judgments. We assume that we can figure out why it is that people acted. We think we know what was in their hearts. However, God reveals to us here that only he knows what is in the heart of a man. Only God can tell the motivation of a person. Only God knows why people do the things that they do. Only God can see past a person’s actions to see the why of those actions. Now, think about that truth as you consider how you make judgments. Do you often think to yourself, “I know what he was really thinking?” Do you ever assume that, though a person says they did something for one reason, you know that they really did it for another reason? Only God can see into their hearts, so be very careful assuming you can see where only God can see. Now, let’s see one more point—a theological one—that is very significant. Only God can see into the hearts of men. What then do these verses tell us? and needed not that any should testify of man: for he knew what was in man." Only God knows the hearts of men. Jesus knew the hearts of these men. Jesus knows what only God knows. Jesus does what only God does. Jesus is God—not less. So, you do not know the hearts of men, because you are not God. so do not think you can fool him at all. Please use scroll button on right to read entire document, thanks to Scribd. What God Says About the Heart! advances for most medicine, and techniques are new in the past 30 years or so. out, remove and replace your heart? people who received spiritually, a new heart. Consider with me that we use the word h e a r t in a number of different ways. 3) the physical heart in our bodies. We must understand what the Bible means by the word, h e a r t .
the entire body. This blood carries with it life to all the cells throughout the body. The heart is a mighty work of a great God. drawing of a heart to speak of our love and giving all we have. gives their whole heart to something they do. were not according to the will of God. Psa. 139:23-24 God looks on the heart; He knows what is in your heart. e v e r y thing to gain for death was imminent anyway . any and all see your heart or would you admit you need a new heart? desperately need a new heart! a . a spiritual heart transformation. . .
heart... and thus of the life itself. bapt i sm, works , e t c .
life... made over, given a new heart. can pe r form thi s miracle . require constant care oversight, many restrictions, concerns, etc . 2 . If you had a new physical heart, would you take extra care.... protect it ?? Sermon by Dr. Edward Watke Jr.
by Nathanael Emmons is a collection of twenty sermons by Nathanael Emmons on the vital issues of sin, human depravity, and the judgment of God. In these sermons Emmons explains the sinful human condition in a way which sheds clear light on the heart of the sinner, so that even the most hardened sinner can understand his corruption. Emmons wrote: "All sin is of the same nature, and essentially consists in selfishness. Sin is a transgression of the law of love; and nothing but selfishness is a transgression of that law. God commands all men to love him supremely, and one another as themselves. When any man loves himself more than God, and his own good more than the good of any of his fellow-creatures, he is totally selfish; and his selfishness is a transgression of the divine law. 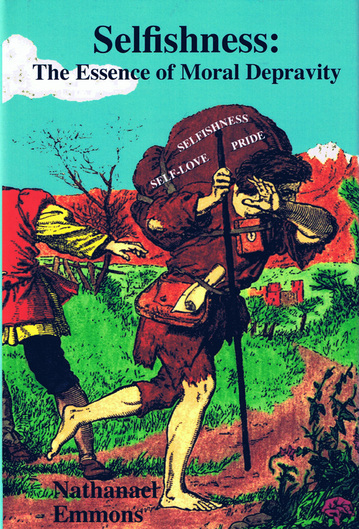 All sinfulness may be traced to selfishness as its source. Men never act from any worse than selfish motives." The message of this book is vital to true Christianity. Some of the sermons in this volume are The Sin of Following the Multitude to Do Evil, Secure Sinners Love Their Security, Selfishness the Essence of Moral Depravity, The Deceitfulness of the Human Heart, Christ Will Reject Mercenary Followers, The Moral Inability of Sinners, The Character and State of Judas, Reprobation, and The Vindictive Justice of God. some how holy and righteous, that it is some how sinless. And in the same breath tell you that if you sin you must go to an alter or to a priest, or to a pastor. This is not truth in teaching. It is not truth in application. It is not truth at al. In fact notice the scriptures below. Romans 1:21-23, Rom. 1:24-27 show that flesh is vile. Romans 1:27 And likewise also the men, leaving the natural use of the woman, burned in their lust one toward another; men with men (Homosexuality) working that which is unseemly, and receiving in themselves that recompence of their error which was meet. Genesis 6:2 That the sons of God saw the daughters of men that they were fair; and they took them wives of all which they chose. Vs 2 the sons of God saw the daughters of men is dealing with NOT men with women, which is the set natural order, but is Angles with women, which produced mutations, or Giants, which was an attempt to polute the Genetics in all flesh so Christ could not be born of a pure blood line. his days shall be an hundred and twenty years. If nothing wicked was going on, then why did God say in vs 3 My spirit shall not always strive with man? If not one thing was wrong, then what was God reacting to? Genesis 6:4 There were giants (Mutations from Angels with women) in the earth in those days; and also after that, when the sons of God came in unto the daughters of men, and they bare children to them, the same became mighty men which were of old, men of renown. Genesis 6:5 And GOD saw that the wickedness of man was great in the earth, and that every imagination of the thoughts of his heart was only evil continually. Man was evil. Woman was evil. Their thoughts and their imaginations were always only evil. Never towards God, but towards evil. They were serving the creature, rather than the creator. Genesis 6:7 And the LORD said, I will destroy man whom I have created from the face of the earth; bothman, and beast, and the creeping thing, and the fowls of the air; for it repenteth me that I have made them. Here in vs 12 we see that the natural order of "all flesh" had been tweaked and someone had corrupted all of God's way of things to work on the earth. God? Did they give Him the glory, the honor, and the praise? Now let's see what we can unlock in Luke's writtings, shall we? you can see that "they married wives" in one point, and in another point it is given for us to learn "they were given in marriage". O.T. records married to wives, but also teaches something else. Romans 1:26-27 shows us the answer. In vs 26 we see "their women did change the natural use into that which is against nature". Verse 27 also sheds more light with "And likewise also the men, leaving the natural use of the woman, burned in their lust one toward another; men with men. How to stop the Messiah from coming in to flesh to bruise the head of the serpent? Angles with women (NOT NATURAL), women with women (NOT NATURAL), and finally men with men (NOT NATURAL). For all flesh had corrupted God's way of NATURAL ORDER upon the earth. Flesh was vile. Flesh was vile after the flood. Flesh was vile when Christ was here in His earthly ministry. Flesh was vile after He was crucified and buried, and ressurected for our justification. Flesh was vile in Paul's time. and our flesh now? It is still vile. Philippians 3:21 Who shall change our (the Memebers of the Body of Christ) vile body (all our fleshly bodies), that it (all our fleshly bodies) may be fashioned like unto his glorious body, according to the working whereby he is able even to subdue all things unto himself. Definition: morally low, despicable, cowardly, mean, cheap, worthless, repulsive, contemptible, degraded, foul, wicked, depraved, disgusting, inferior, evil, sinful(full of sin), and offensive. Note: Because of the sin of Adam, sin fell upon all men, a curse. Do you know the difference between "curse"
taketh away the sins of the world (all of them in the whole world). The cure is to take away the "S". When you take away "S" there is no "S". CurSe - S = Cure. members (Your Vile Bodies) servants to righteousness unto holiness. Colossians 2:12 Buried with him in baptism, wherein also ye (the Memebers of the Body of Christ) are risen with him through the faith of the operation of God, who hath raised him from the dead. longer, well in the sight of God. The acts of the flesh remain, but the payment for them was paid at Calvary by Christ. It is Finished! Romans 6:1 What shall we (the Memebers of the Body of Christ) say then? Shall we (the Memebers of the Body of Christ) continue in sin, that grace may abound? Romans 6:2 God forbid. How shall we (the Memebers of the Body of Christ), that are dead to sin, live any longer therein? Hell is so little preached today that most people in the world do not believe it is a real place, nor do they believe that they will ever go there. The climate of modern Christianity is one of the main reasons why this book is so important. How is it that we have come to a place in our society when large numbers of people in the church don't believe in a literal hell? Today's pastors build large megachurches by denying the most fundamental aspects of the faith like the doctrine of hell, appealing to the itching ears of their congregations. Thomas Doolittle has answers for our modern heretics in Rebukes for Sin by the Flames of Hell. 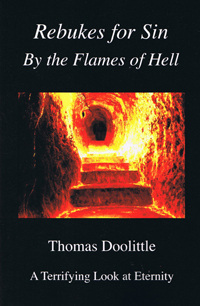 Doolittle begins by answering a series of nine of the most common questions that people ask about hell, included are: Will God punish sinners after this life? Is there such a place as hell and such a thing as hellfire? Why has God appointed such a place? Who are they that shall be burned in this fire? Will the greatest part of men burn in this fire? Will there be degrees of pain and torment in this fire? Then he deals with issues like the names used for hell in the Bible, the extremity of the pains of the damned, the eternal unending nature of the torments in hell, the differences between fire on earth and fire in hell, and the characters of those who will be burned in hell. All the while Doolittle asks probing and penetrating questions of the reader to get him to evaluate his own condition, and uses striking imagery to terrify the ungodly. The regenerate man is a holy man. He endeavors . . .
to avoid the things that God hates. mind and strength–and to love his neighbor as himself. the average bent and bias of . . .